Monnier Frères is a high fashion accessory e-tailer. Created in 2011 by the Monnier brothers, the company sells and ships in various countries in Europe and worldwide. Their biggest market is the European one – with leading countries like France, UK and Germany. But the company also ships worldwide. Excellency in customer service and support is part of Monnier Frères DNA, as the company takes high pride in its customer-centric approach to business. Their support team is composed of 7 to 8 people, with additional ressources coming in during Christmas or the sales season. The support team is an international and multicultural crowd, where people come from different backgrounds and speak various languages. Before Aircall, Monnier Frères only used the desk phone which rapidly turned out to be a limited tool. The team needed to be able to follow-up on calls, have informations about the customer – like identity and history- before even picking up, or effortlessly transfer calls between team members. Not to mention that when the lines got bugged it would block the entire department, which would eventually affect the business. The customer service team needed a tool that could fully support their need of productivity and efficiency. 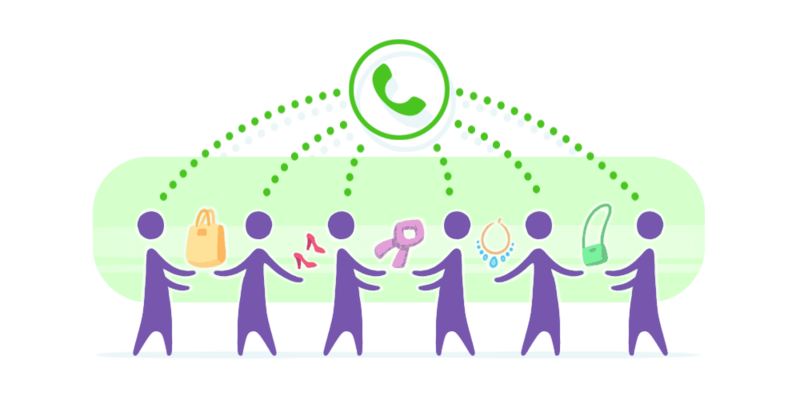 Aircall offers the possibility to have a de-materialized call center, and work from the internet. The product is also flexible and can adapt to whatever problem may come up. With Aircall, the support team is also able to receive business calls on their mobile phones ( without giving away their own, personal number). This increases day-to-day productivity within the department. be able to deliver a personalized response to customers – according to their history. In a little less than a year since the company is using our service, the customer service team has been able to have a better knowledge and understanding of their clients, as well as map out their behaviour. This translated into tremendous gains of efficiency. The team was able to see and measure the business impact of metrics like taken calls or missed calls, from a day-to-day, weekly and monthly perspective. They also set up complexes KPIs and tracking standards. Their need of understanding and measuring outbound calls flow per hour was met. This resulted into an additional advantage: adjusted working hours. The Aircall dashboard coupled with its powerful analytics enables the customer service team to better analyze and segment the work done by the team members. This can be measured individually and as a whole, by hours, days and/or agent.